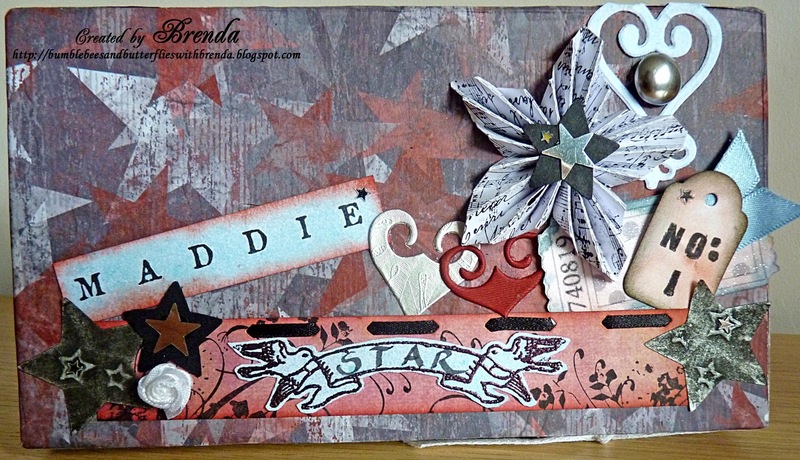 It was my daughter Maddie's birthday last month and this is a box I made for her. Those who know me will recognise the stars as being her most favourite thing for jewellery and bits and pieces. The large pleated star I made using the TH rosette die - just another of the shapes I have been experimenting with using this die. Enjoy and thanks for looking. The weekend is almost here, time for another break. 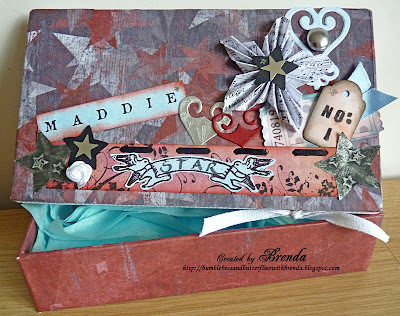 Bet Maddie can't wait to see what your creation will be for her when birthday time rolls around and she certainly would not have been disappointed with this Brenda. The pleated star is a wonderful idea and sets the box off a treat. All the other embellies are fab and love the No. 1 tag. ooh this is gorgeous . Maddie will love it! Cool box Brenda, I bet your daughter loved it. 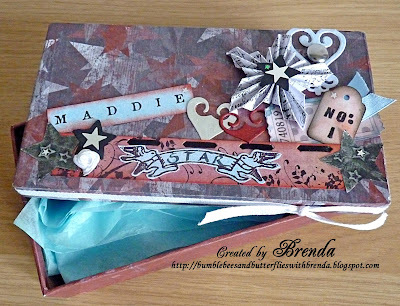 Brenda, was a lovely birthday box for your Maddie! The pleated star is absolutely stunning and so unique! That had to take some time! Love this! Enjoy your weekend, which I am sure you need! Hugs! 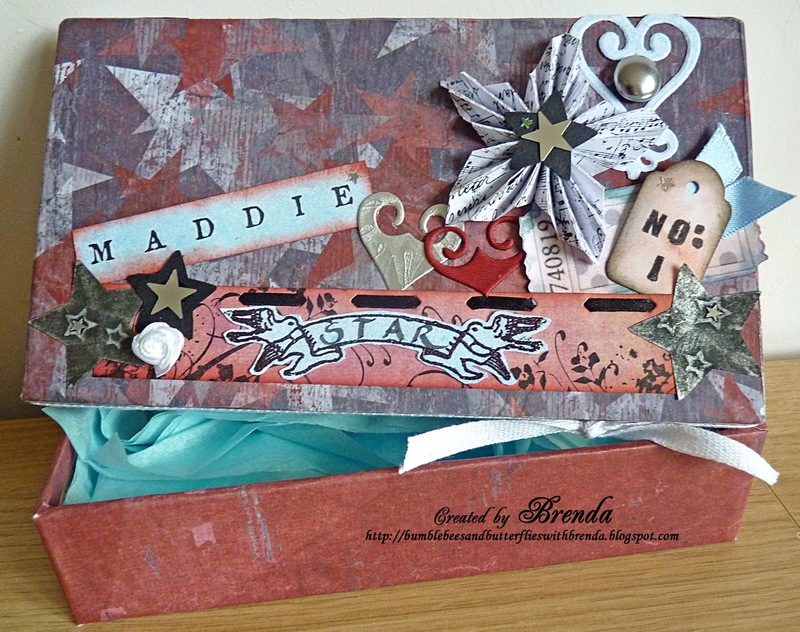 So beautiful Brenda...your Maddie must have enjoyed it...hope everything went well at school...so enjoy your weekend! I hope your Ofsted week was successful. 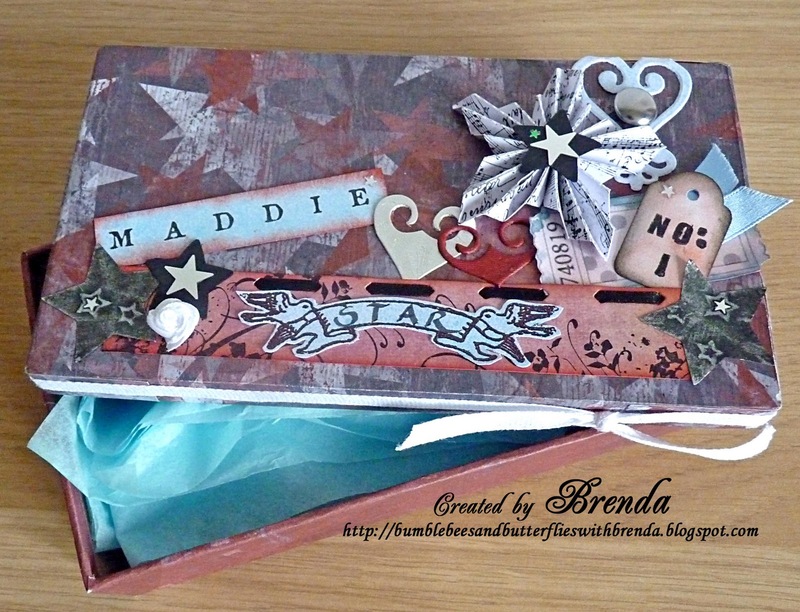 A wonderful treasure box, Maddie will love it.